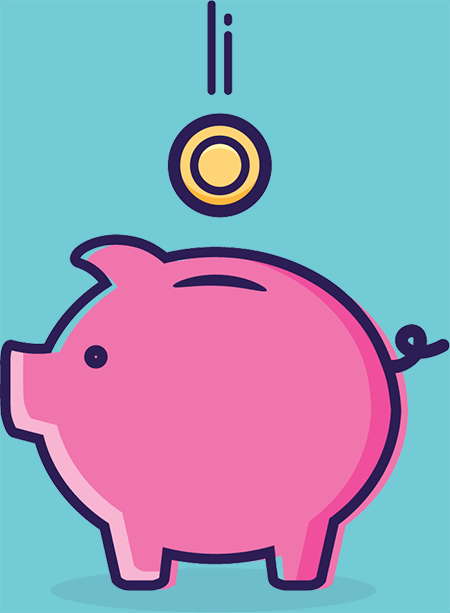 Say hello to Pink Pig, your business’s new best friend when it comes to payroll, bookkeeping and all round business solutions. Pink Pig’s payroll services include payroll calculations, full auto enrolment service, submitting payroll on the frequency of your choice, sending payslips electronically and complete in-depth reports detailing payments and deductions. We can organise your filing system so it’s easy to navigate, give your customers an incredible service when it comes to invoicing, chase debts, make payments on your behalf and help you understand your figures on a monthly and quarterly basis. Cloud accounting is the biggest change since we, as accountants, started using computers. We pride ourselves on being totally software neutral and have team members qualified on FreeAgent, KashFlow, Sage One, QuickBooks, Wave, Xero and more! Let us take control so you can focus on bringing home the bacon! At Pink Pig, we provide a bespoke full-business solution to help you focus your time working ON your business, not IN it. This means we can take care of everything from invoicing, bookkeeping (including VAT returns etc. ), payroll and even making payments on your behalf. We have a highly skilled and experienced team that are able to offer all your bookkeeping, payroll and compliance needs so you don’t need to worry. Let us take control so you can focus on bringing home the bacon! If you have any queries at all or would like to know more about how Pink Pig can help your business, please don’t hesitate to get in touch with us!